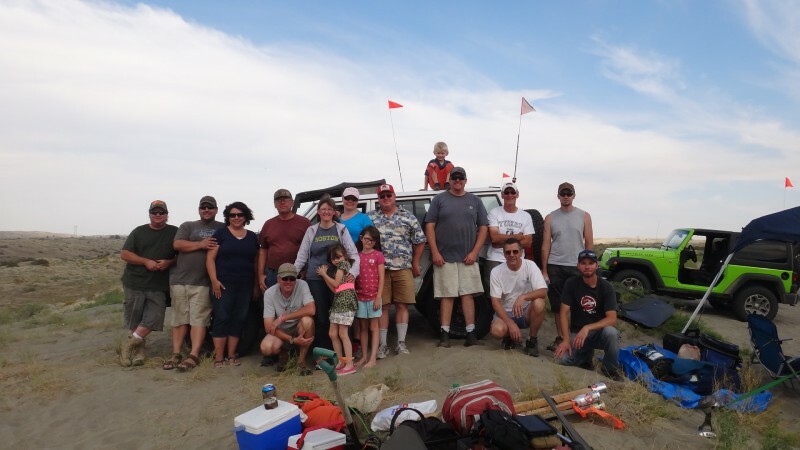 We are a family friendly off-road club who are passionate about our rigs, enjoy social gatherings, and going wheeling of course! We are very dedicated to our sport and strive to share the knowledge of safe and responsible off-roading. Our club is open to anyone who owns a four-wheel drive vehicle and is interested in wheeling, whether you have a stock rig or a heavily modified machine. Some of our members are 2nd and 3rd club family generations with extensive knowledge of nearby wheeling areas and trail systems. With a club membership you are welcome to join us on on our off-road club runs, meetings, and social events such as our annual holiday party. If you are interested in our club, we suggest you first attend one of our monthly meetings which are typically held on the first Wednesday of every month. Upcoming meeting details will be posted on our forum. At the meeting you may fill out a club application form to become a candidate. To become a member you then must attend three club meetings and three club runs driving your own vehicle to become eligible. Once eligible the active members of the club will vote on your membership. Club member dues are $55 annually, most of this cost goes towards our annual PNW4WDA membership, the rest goes towards the club funds.